Soil from a pulse cultivated farmers land of Odisha, India, have been subjected to incubation studies for 40 consecutive days, to establish the impact of various nitrogenous fertilizers and water filled pore space (WFPS) on green house gas emission (N2O & CH4). C2H2 inhibition technique was followed to have a comprehensive understanding about the individual contribution of nitrifiers and denitrifiers towards the emission of N2O. Nevertheless, low concentration of C2H2 (5 ml: flow rate 0.1 kg/cm2) is hypothesized to partially impede the metabolic pathways of denitrifying bacterial population, thus reducing the overall N2O emission rate. Different soil parameters of the experimental soil such as moisture, total organic carbon, ammonium content and nitrate–nitrogen contents were measured at regular intervals. 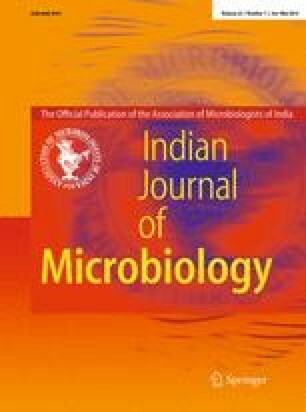 Application of external N-sources under different WFPS conditions revealed the diverse role played by the indigenous soil microorganism towards green house gas emission. Isolation of heterotrophic microorganisms (Pseudomonas) from the soil samples, further supported the fact that denitrification might be prevailing during specific conditions thus contributing to N2O emission. Statistical analysis showed that WFPS was the most influential parameter affecting N2O formation in soil in absence of an inhibitor like C2H2. The authors are grateful to Dr. S.N. Das, Emeritus Scientist and Dr. G. Roy Chaudhury, Chief Scientist, CSIR-IMMT for their constant help and valuable suggestions while writing the manuscript. Authors are thankful to the Head, Department of Environment & Sustainability and the Director, CSIR-IMMT for their encouragement. Authors are also thankful to ISRO-GBP for funding.